Oconomowoc Realty is family owned since 1959, servicing all of Oconomowoc and the entire Lake Country area. We specialize in Residential, Commercial, Investment, Land Development, and Management of Real Estate. 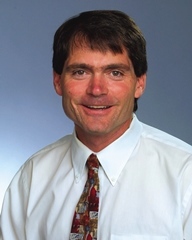 Mike is a native of Oconomowoc with over 30 years experience in the residential and commercial real estate industry. Beyond doubt, he is a Lake Country real estate expert that knows the area well and what Lake Country has to offer. Ken has over 20 years experience in the real estate industry and has extensive knowledge about the Oconomowoc and entire Lake Country area. With over 10 years of real estate experience, Nina has had great experience working with tenants and retains the knowledge of the current real estate market. She will do her best to make the buying or selling process easy and efficient to get your home sold or find one that fits your lifestyle. Oconomowoc Realty was founded in 1959 by Charles Herro. The company began as a real estate development company that specialized in neighborhood developments and industrial buildings. In 1985 Mike Herro expanded the company into residential sales of single family homes in Waukesha, Jefferson, and Dodge counties. Ken Herro joined the family firm in 1994 and focuses on residential home and multi-family sales. As a family and community based company, Oconomowoc Realty is a relationship-driven business creating long term client relationships with families, businesses, and organizations. Strong marketing skills accompanied by a professional business background ensure a successful experience for clients. We manage over 120 apartments and homes, retail buildings, 4 self-storage facilities, and over 600,000 square feet of industrial buildings. Our management company contracts with over 50 employees to maintain and ensure that all of the properties under management are in excellent condition. We also provide management for the properties that we have listed for sale that are owned by banks and out of town owners. Residential and commercial specialists in Waukesha County. Proven ability to market properties.